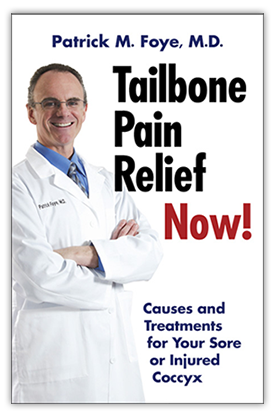 « Tailbone Book, Chapter 13: Cancer Causing Coccyx Pain, Tailbone Pain. Soft vs Hard Cushions for Tailbone Pain, Coccyx Pain. Which cushion is best? 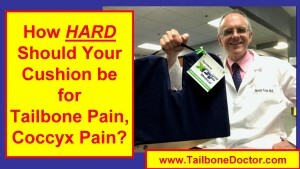 How Hard Should your Cushion be for Coccyx Pain, Tailbone Pain? Should your Tailbone Cushion be Softer or Harder? Which cushion is best? Many patients ask me about what is the “best” cushion for them to sit on to help decrease their coccyx pain (tailbone pain, coccydynia). In this video, I review a coccyx cushion that comes in 3 different levels of firmness: Soft, Medium, and Firm. I comment on the pluses and minuses of each level of firmness. How HARD should your CUSHION be for Tailbone Pain, Coccyx Pain?